Joining the two sides. Hitch the two last stiches together and tie a series of square knots on the inside. Then with these finishing strands (leave about a 30 cm each) pull alternating colors up through (pulling them from the outside) the first stitches. Twist the two strands until the colors alternate again and pull each strand up through the next stitch. Repeat all the way around the seam. 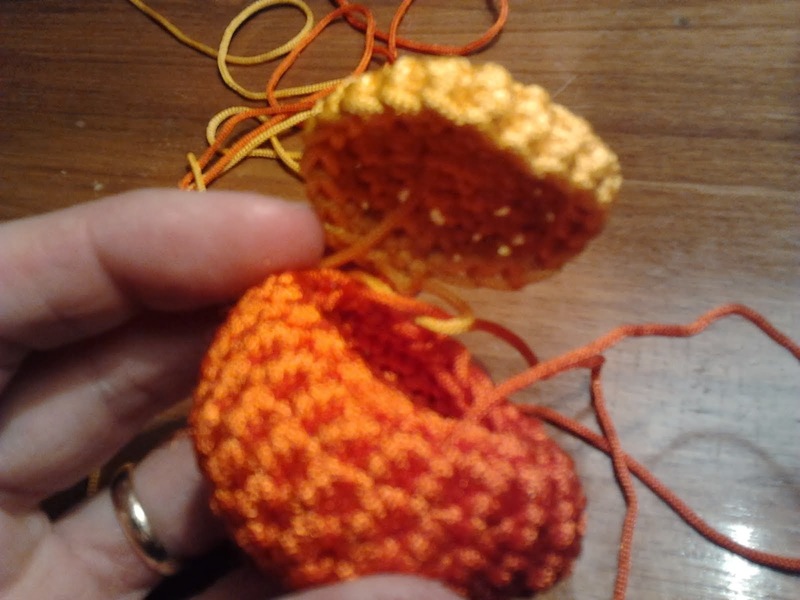 No need to stitch tightly at this point. 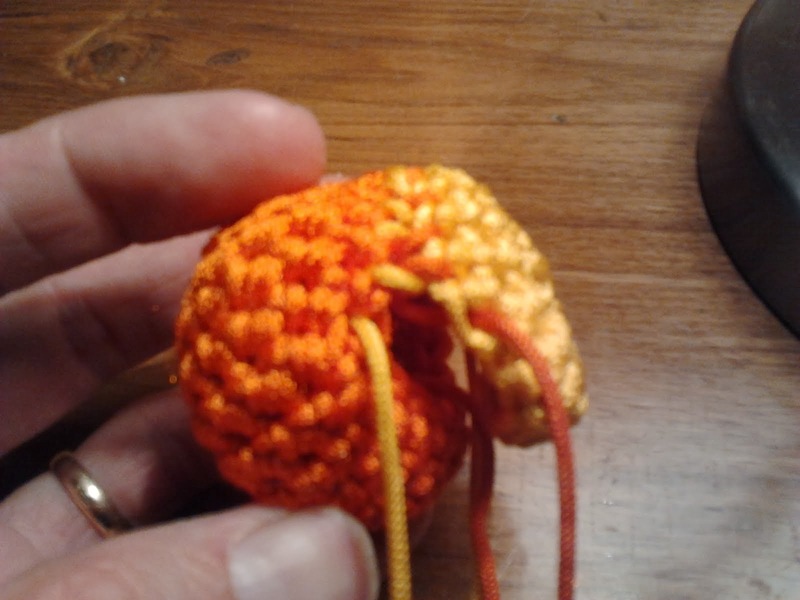 You can stuff the ball right at the end of the joining through the last loosened stitch.